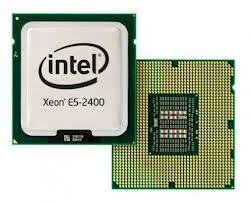 Completing the Intel® Xeon® processor E5 family is the entry dual socket server processor, the Intel® Xeon® processor E5-2400 product family, which supports core features of the Intel Xeon processor E5 family such as Intel® Integrated I/O, Intel® Turbo Boost Technology 2.0, and Intel® Trusted Execution Technology. These processors offer growing small and medium businesses an easy path to the higher performance and reliability of an Intel Xeon processor E5 family-based platform. The Intel Xeon processor E5-2400 product family delivers up to 3x better performance then the Intel® Xeon® processor E3-1200v2 product family and enables higher system densities and lower total cost of ownership compared to a single socket server solution.